Menu For Hope V: Just Bento prizes! [Update:] Menu For Hope has been extended to December 31st! You thought that the Anniversary Giveaway was exciting? Well, here are some more goodies for you, plus you get to donate to a great cause! 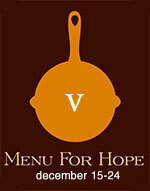 Menu For Hope  is an annual fundraising event, now it its 5th year, contributed to by food bloggers around the world. Last year, nearly US $100,000.00 was raised  for the United Nations World Food Programme , to benefit the school lunch programme in Lesotho, Africa. Menu For Hope’s creator and head organizer is Pim of Chez Pim , and this year’s regional Europe host is Sara of Ms. Adventures In Italy . I’m very happy to announce that Just Bento is once again offering a raffle prize for Menu For Hope V! 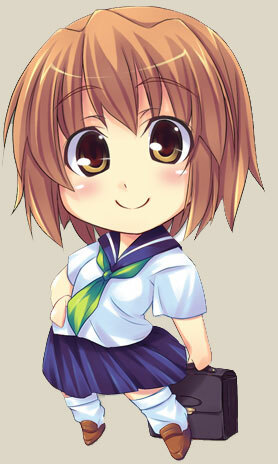 What fan of Japanese fun stuff doesn’t know about J-List  (or its PG-rated version, JBox )? If you have ever looked longingly through their huge web site which includes a great selection of bento boxes and accessories , this prize is for you. For as little as a $10 raffle entry, you could win a US$50 gift certificate to spend on the J-List/JBox site! Plus: I’m including 3 Japanese bento books that I’ve recommended on Just Bento previously (see review page ). They are: Ekiben 800 (800 Seasonal Station Bentos), a beautiful book about ekiben or train station bentos from around Japan that will have you drooling and planning a trip to Japan; Onnanoko no Obento (Obento for Girls), another gorgeous book that is part bento recipes, part craft book; and Kihon no Obento (Basic Obento), which delivers exactly what it says - basic bento recipes with oversized full-color photos. Now the last one will also come with an English translation by yours truly (Hi Jen if you’re reading, yep I’m almost finished! ^_^;) making it truly useful if you don’t read Japanese, not to mention priceless, given my sloooooow translation pace! This is one prize, and can be sent worldwide wherever J-List delivers (please read their FAQ page ). Note down the prize code above, EU03. Take a look at the two prizes offered on Just Hungry  too! Or choose another prize from the list at Chez Pim , or the regional European list at Ms. Adventures In Italy . Go to the donation site at First Giving  and make a donation. Each $10 you donate will give you one raffle ticket toward a prize of your choice. You must specify which prize you’d like in the ‘Personal Message’ section in the donation form when confirming your donation. You must write-in how many tickets per prize, and please use the prize code. For example, a donation of $50 can be 2 tickets for EU01 and 3 tickets for EU02. Please write 2xEU01, 3xEU02 and so on. The last day for donations has been extended to December 31. I know that this is a tough holiday season for a lot of us, but just keep in mind that there are many people, especially children, around the world that are in far worse situations than most of us are. For as little as $10, you not only would be donating to a great cause, but you could win something great, for yourself or a loved one! Good luck and thank you to everyone who enters!